Some preliminary remarks to be considered about Baptism. I come to the table on this doctrine having held a Reformed Baptist position on the issue of Baptism for over 15 years. I want to say at the outset that I hope not to indulge in conjecture, or eisogetical work to arrive at an unhealthy view on this subject. I do not want to parrot what I believe were unhelpful Paedo-Baptist explanations of “bending the text” to fracture while studying this doctrine as a Reformed Baptist. It is the achievement of a biblical view of the manner in which God works in saving men that I am constantly in pursuit. 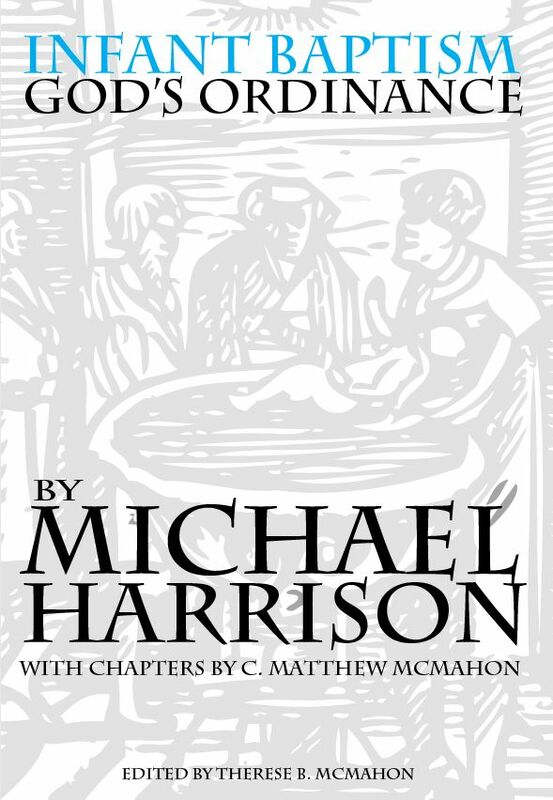 When I complete surveying the comprehensive treatment of God’s plan of redemption, and how He deals within time and space in saving men through His Son, I aspire to exegetical demonstrability that God does in fact desire, and command us to baptize infants as covenant members of the church through all ages pending the consummation. Am I able to do this exegetically? Shall specific texts support me in this? “Good luck to that!” says the Baptist. The thrust of this particular paper is to make predetermined notations of prefatory observations on the subject of my future articles concerning this doctrine apparent. This is, for all intents and purposes, a brainstorming session on postulations to brood over while reading through ensuing articles. I intend to acquit myself ahead of time from Baptistic or Paedo-Baptist accusations in the process of my articles before I even begin writing them. It may be that good exegetes will agree with me on these preliminaries, both Baptist and Paedo-Baptist. I anticipate they would – even though they may disagree with me on the point, they still should admit to its validity in the overall debate. Though some may seem to think I am merely stating the obvious, then great, I have accomplished my intent in this short preamble. I do not believe in Paedo-Baptism because John Owen believed it, or Dabney, Edwards, Calvin, Turretin, Ames, Adams, Goodwin, Manton, Caryl, Charnock, Bridges, Trail, Newton, Flavel, Watts, Case, Robinson, Gurnall, Boys, Burroughs, Love, Perkins, Murray, Hodge, Berkhof, Luther, Augustine, Heywood, Baxter, Jenkyn, Cunningham, Henry, Bolton, Swinnock, Rutherford, Gillespie, Knox, Wickliffe, Sibbs, Watson, Clarkson, Brooks, Hus, Toplady, Alexander, James, A’brakel, Whitaker, Van Til, Brown, Scougal, Hall, Vincent, Dyke, Alliene, Steele, Mead, Bayly, Pearse, Ranew, Symonds, Shepherd, Doolittle, Miller, Ainsworth, Shaw, Greenhill, Warfield, Willison, Stoddard, Hopkins, Plumer, Gouge, Beza, Tyndale, Foxe, Greenham, Hooper, Dod, Kuyper, Ridderbos, Dering, (can we think about thousands of others?!) believed it. I unquestionably do not adhere to a theological formulation because it is “vogue” to do so, and neither did these men; otherwise they are daft for doing so, and I would have given into it 15 years ago on the basis of its “historical fashionableness.” I now acknowledge it because I am convinced there is a solid, biblical solution proving decisively that Infant Baptism is biblically consistent with the manner in which God works among His covenant people. I propose to illustrate this slowly, methodically, biblically and exegetically in the course of the developing articles. Yes, I believe passages like Hebrews 6, 8, and 10, Jeremiah 30-33, Acts 2, and others befriend the Paedo-Baptist in this regard, not the Baptistic arguments. I have been encouraged by Baptist brethren not to massacre these texts (and others) as they have seen them massacred in the past. I am thankful for their exhortation and, by God’s grace, my aim is to satisfy all, especially Christ, in rightly handling the Word in these areas. Now onto some of the points I wish to make at the outset. Secondly, as a Reformed Baptist, I grew very weary of Paedo-Baptists who did not know what they were talking about. Now, this is a truism. Unfortunately, just as there are Baptists who have no perceptions as to why they are Baptist (but will nonetheless argue with you about the topic of baptism) so there are Paedo-Baptists who do the same. These theorists muddy the waters and make useful conversation on this topic additionally difficult. There is often the need to untangle all kinds of fanatical ideas before intelligent conversion may take place. I pray I will not imitate such poor theological patronage on this topic. There is far too much garbage published in the theological realm (not to mention posted on the internet) to continue to pile upon the dung heaps mediocre work that really does not deal with issues that require solid exposition. Hopefully this will become apparent. Thirdly, it is imperative for Baptists not to succumb to the cordially unthinkable, and lump all Paedo-Baptists into the Roman Catholic arena of sacerdotalism. Reformed Paedo-Baptists do not believe what the Roman Catholic Church teaches on Infant Baptism, ex opere operato. Baptists would like to think that is the case, but in all their efforts to prove this, I believe they are simply appealing to ad hominem arguments that lead absolutely nowhere. No thinking Paedo-Baptist would even consider sitting in the same camp as the papists on this issue, and none of the best works on the subject are written even remotely in that manner. Two first-rate examples of this type of crude “brotherly love” is John Gill’s “Part and Pillar of Popery,” and select chapters of RBC Howell’s book, “The Evils of Infant Baptism.” Plainly stated, it is absolute nonsense to affiliate the Reformed Paedo-Baptist with the Roman Catholic Church. Abuse of the sacrament does not grant us the right to dispose of the sacrament; any more than abusing theology should cause us to throw it out as well. I as a Paedo-Baptist will not amalgamate all Baptists into the Arminian camp simply because most Baptists are Arminian. Let us not consolidate all Paedo-Baptists into the Roman Catholic camp because they both sprinkle water on infants. The two views on Infant Baptism between the orthodox Reformed Paedo-Baptist and the Roman Catholic are light years apart in every manner of that doctrine except that in both cases the infant gets wet. Let us remain faithful to the Bible. Both camps should argue biblical texts guided by proficient hermeneutics. Fourthly, it is also important to note that merely collecting all the material on baptism in the New Testament will not provide an adequate understanding of both believer’s baptism and Infant Baptism. The only way the Baptist could possibly think this is a good hermeneutic, for either case, is if he did not know hermeneutics. Gathering proof texts is not exegesis, nor is it responsible biblical scholarship. Arminians tend to do that, as do Jehovah’s Witnesses and the other cults. Why do you think they are deviant in their theology? I would not desire the Reformed Baptist to lay himself at the feet of such abhorrent hermeneutical methods. To indulge in the topic itself and adequately debate that topic and the issues surrounding Infant Baptism, or baptism in general, requires we do abundantly more research on other topics before hand. For instance, if I were to begin reading the Bible for the first time in Matthew 1:1, I would read this, “The book of the genealogy of Jesus Christ, the Son of David, the Son of Abraham.” If I were thinking while I was reading (which hopefully we all do, but is not often the case), I would have to stop and ask the simple question, “Who is David?” Even though I am in the midst of reading a Gospel account of Jesus Christ, I should be sensible enough to verify an account of this person named David. That is a monumental task in and of itself if it is done thoroughly. Then, obviously, I would be inclined to understand who Abraham was, that is, if some other portion of David’s life had not preoccupied me during my previous study in the Old Testament. And if I were honest with myself, I would have to admit that I already began the story of redemption at the end by reading the book of Matthew before I looked at Genesis through Malachi. The point is, you cannot fully understand the intricacies and background of the New Testament without a thorough comprehension of the Old Testament – especially on this topic. How do we know this is true? Well, a reasonable act of imitation would be to imitate the manner of God’s revealed plan of redemption – in other words – God began in the Old Testament. He did not begin the Bible with the Gospel of Matthew, or the theological letter to the Romans. He began with Genesis. And it is most interesting to me that as a Reformed Baptist, my starting point for understanding certain theological topics in accordance with the Old Testament was in the New Testament. This is just a bad hermeneutic from the start. No one reads a book from back to front, and God did not have it written that way, nor did He inspire it that way. People who read the end of a book first are often called “cheaters.” What good is a mystery novel if you read the end first? You know the answer, but have no clue on how someone arrived there. So much of the information is missing – especially the plot which drove the mystery to its conclusion in the first place! And what good would those people be if they were going to write a critique on that book? Knowing an awkward version of the end will not allow you to be able to speak about the book in general. If God wanted us to begin in the New Testament He would have started Biblical revelation with Romans as the first book of the Bible and ended “the baptistic hermeneutical problem” at that point. Why would we study it that way? I understand that the Baptist then appeals to Christ and the Apostles as the greatest exegetes of the Old Testament. Great, I do as well. However, for someone to appeal solely to that kind of hermeneutic is to say the Spirit of God carried them along without having a proper foundational understanding of the Scriptures. All must agree that they did not begin writing the New Testament without understanding the Old Testament (otherwise all their preaching is simply under the dictation theory of divine revelation which is heretical). The New Testament writings are a form of Jewish Midrashing of the Scriptures, commenting on the Old Testament. The New Testament comments and explains the Old Testament. If Jesus did this (Luke 24:27), and Paul did this (Acts 17:2; Acts 18:28) why would we do it any other way? Fifthly, it is interesting to me that God would use Paul, a Pharisee of Pharisees, to write 13 of the New Testament epistles. If we count Hebrews, which many do, then we have half of the New Testament written by Rabbi Paul. Why? Paul was thoroughly acquainted with the Scriptures. God prepped him in his unbelief for the fact of writing the New Testament epistles in that manner, as Jew who thoroughly knew the Old Testament – one who in the externals of the law was blameless (Phil. 3:6). The Scriptures for Jesus, Paul, Peter, and the rest of the apostles and early church at that time, were the Old Testament documents – the 39 books. Except for 2 Peter 3:16, (which attests to the reality that Paul’s letters as Scripture and divinely inspired) almost every New Testament passage referring to “the Scriptures,” respectively, is referring back to the Old Testament. For instance, the famous passage in Acts 17:11 says, “these were more fair-minded than those in Thessalonica, in that they received the word with all readiness, and searched the Scriptures daily to find out whether these things were so.” What did the Bereans study? They studied the Scriptures. What were the Scriptures to them? The answer to that is the Old Testament – as it was for all early Christians including Jesus, the 12 Apostles and the Apostle Paul. Before the New Testament had even been written down, Paul and the Apostles were preaching exclusively from the Scriptures about Jesus Christ – that is, the Old Testament. When Paul stood up to preach in the synagogues, he opened the ancient scrolls and read from Isaiah, the Psalms, and the Torah – not Romans. Sixthly, if Paul were going to teach us something about baptism in the New Testament, he would have appealed to the Scriptures to do it – the Old Testament. For any Baptist, then, it would be a acceptable practice to gather all the relevant passages about baptism through the whole Bible, both in the Old and New Testaments to comprehend the doctrine. But is that enough? No, this is not enough at all. Douglas Wilson states this objection succinctly, “Many Christians come to baptistic solutions because they simply took a Bible and concordance and then looked up every incident of Baptism in the New Testament. This is objectionable, not because they studied the passages concerned with baptism, but because they did not look up all the passages that addressed parents, children, generations, descendants, promises, covenants, circumcision, Gentiles, Jews, olive trees, and countless other important areas. In other words, the subject is bigger than it looks.” He is right. If we gather New Testament texts about Baptism without all the requisite study that should be done in the Old Testament, (the neglected ¾ of the Bible) we will always end up a Baptist. Baptistic theology, in my opinion is inherently dispensational because of this kind of hermeneutic. I do not say this idly, and will prove this out in the future. I certainly do not mean to make shallow judgments on my Baptistic brothers. But I can say this knowing that my own theology as a former Reformed Baptist did reflect such a shallowness. I believe I was dispensational as a Reformed Baptist due to this error. If the Baptist is going to understand how the Paedo-Baptist is thinking, at the very least, he needs to accomplish necessary homework on a variety of topics that the Paedo-Baptist takes for granted. It is fair to say that the Baptist, at the very least, owes the Paedo-Baptist this to understand him. Most of the time the issue is stated irresponsibly, or, secondary issues surrounding arguing specific Baptistic New Testament texts encompasses the whole debate. This, again, is bad hermeneutics. I must say though, the same courtesy should be allotted to the Baptist from the Paedo-Baptist community as well. Paedo-Baptists should be willing to understand the Baptist thoroughly before arguing or debating this topic with him. As a former Baptist, I can attest, that often does not happen. 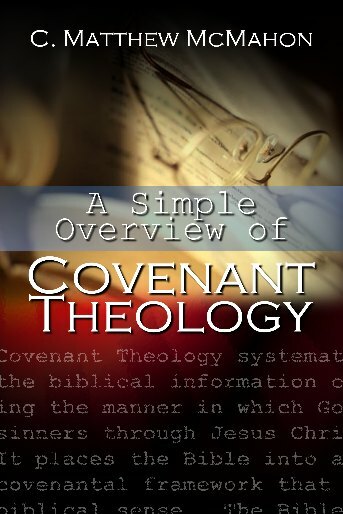 Seventhly, another prefatory note to be made is the question on the degree of change in the administration of the covenant in the New Testament. We should not act as though there is no difference between the Paedo-baptist and Baptist in relationship to covenant theology upon entering this debate. There is a vast difference that exposes many implications for the outworking of each position’s theological practicum. Reformed Baptists and Paedo-Baptists disagree on the amount of change, and the kind of change, though both agree that there is change. One point of contention lies in the inclusion of infants in the Covenant of Grace. This means the Paedo-Baptist must show why God requires (or even commands) infants to be included in every historical administration of the Covenant of Grace through the Bible. The Reformed Baptist view believes there is diversity between the historical covenants, but differs with Paedo-Baptists as to the “degree” of diversity – not whether there is any diversity. However, their contention remains solidly against classical Reformed Theology when they state that infant inclusion, and application of the covenant sign on infants, is not of the substance of the Covenant of Grace in every administration. They believe that infant inclusion is only part of the form of the Covenant of Grace in certain expressions through the Old Testament, but not in the substance of it. This is a great gulf fixed between the two camps, and the reason why Paedo-Baptists will accuse the Reformed Baptist of really not being classically reformed. I believe, as a former Baptist, that this is part of the greater scope of exegetical massacring of texts that the Baptists warned me about, but I, in turn, am warning them about. I hope to demonstrate that the term “Reformed Baptist” is a non-sequitir, and is inconsistent with Reformed Theology and the Bible. I also believe that the doctrine of the Covenant of Grace is altered in meaning by the baptistic notions he overlays upon those covenants due to exegetical fallacies. Ninthly, the Covenant of Redemption must be considered as the foundational covenant of the ages concerning God’s elect children in any age and how this relates to the Covenant of Grace. Some Baptists dislike this formulation (as do some Paedo-baptists!) and reject it as unnecessary. I think it is crucial, as well as exegetically necessary. The covenant between the Father and Son, this intertrinitarian Covenant of Redemption to save men, is without a doubt one of the most crucial aspects of Covenant Theology. Some Paedo-Baptists simply compartmentalize the Covenant of Grace in certain ways to conform to some of the concepts that this has on Covenant Theology instead of calling it the Covenant of Redemption. This may be understandable from a certain point of view, but I think it causes more confusion than good, and gives the Baptist ammunition to accuse Paedo-Baptists that they cannot agree on this doctrine. However, many of the theologically deeper writers of the reformation and Puritan era utilized the term Covenant of Redemption. Eleventh, unless the theological student has a through knowledge of the church, he will never rightly understand why Paedo-Baptists believe in Infant Baptism. I know this falls under point six, but it must be affirmed alone in a point of its own. The Paedo-Baptist should refuse to speak about infant inclusion in the church unless the ground for the nature of the church through all ages is exegetically met. This topic must first be thoroughly studied and understood. That does not mean I am referring to a Westernized mindset about what constituted the church in the first century, but rather, a through knowledge of the manner and customs of the early church as it was in apostolic times is the point – especially all of the subtle nuances relevant in the New Testament epistles on this subject, as well as the common statements about church life. I intend to treat this subject in a paper of its own because of its great importance in the whole scope of relating to the Jewish/Gentile background concerning membership in the church and the question of circumcision in Acts 15. These are exegetically vital points to embrace before Infant Baptism is even pursued. Twelfth, some Reformed Baptists accuse Paedo-Baptists of having certain watershed formulations for Infant Baptism. One of these more important “supposed” cornerstones is the thought that “if the children of believers were included in the poorer, more beggarly dispensation of the covenant, i.e. the Old Testament, how could they then be excluded from the richer, more extravagant new covenant in the New Testament under the abundant grace of Jesus Christ?” If the Paedo-Baptist believes this, then he is engaged in semantic absurdities. If Paedo-Baptist seminaries are teaching this, then shame on them. If the Reformed Baptist thinks that the Paedo-Baptists believes this, then that even worsens the situation. To speak in these terms is vague, imprecise, and unhelpful, in my opinion. This is not a watershed idea for Infant Baptism in general because the manner in which the Covenant of Grace is being treated is not correct. The misapplication of Dispensationalism in the above statement is not the classic position of Reformed orthodoxy. If my Reformed Baptist brethren believe this is a watershed idea in the Paedo-Baptist’s thinking, then there is more to untwist and unwind before we even begin talking about Covenant Theology. I do not intend to argue in such a manner as it is stated above. There is far more to deal with in terms of the Covenant of Grace to utilize semantics as a smoke screen of sentimentalism in argumentation. As a concluding remark, in treating this subject fairly, I would counsel everyone to first read a very well done article by Dr. Roger Nicole (a Reformed Southern Baptist no less) on the topic of proper etiquette in theological debate called, “How to Deal with Those Who Differ from Us.” This link leads you to an exceedingly helpful article that we should all digest before even entering into the debate on the subject of Infant Baptism. With all of this said, I covet the prayers of the faithful as I endeavor to bring you my thoughts on this subject in a manner worthy of the Glory of Christ. We are all but frames of dust. We are like the grass that is cut and withers in the noonday sun. Our lives are but vapors. But during this short earthly travail in which we live before Him as servants of the Most High, may we do so in truth, and the in the power of His Word. Let us all take the necessary time to be workmen who correctly divide the Word of Truth. In order for the most basic of Christians to understand the Bible, it is prerequisite that they should be fairly familiar with the Old Testament. However, that does not mean that we would not instruct them to read through the life of Jesus Christ as a possible first means to introducing them to the Savior of the world. 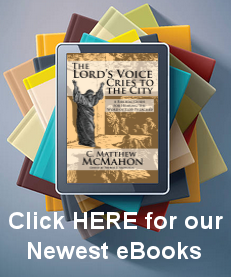 Most preaching surrounding the Gospel often surrounds a verse from the New Testament. This though could be questionable when the story of redemption is constantly begun in the middle and not at the beginning of the account with the Fall and the imputation of Adam’s sin to the entirety of the human race. Many effective missionaries to tribes in the deep jungles have begun with Genesis and slowly worked their way through the Bible to the Savior. Creation and Adam’s fall are dealt within their rightful place, at the beginning. This is obviously the most proper manner of dealing with the theology surrounding redemption as a whole. It certainly does take longer to appeal to the Gospel record, but we would do well to follow such good exegetical methods in ultimately explaining the Gospel. Perhaps if this principal had been taught from the beginning, English Anabaptist theology may have been in trouble from the outset, or possibly, would never have come onto the scene at all. Certainly there is a dimension of harmony through the entire Bible and it all interrelates, but hermeneutics and exegesis demand that we begin at God’s starting point, not our own fabricated starting point. The greatest exegete of the Bible, Jesus Christ, did not begin by explaining the New Testament, but rather, the New Testament grew out his explanation of the Old Testament. Two examples from are in Turretin’s Instiutes and Witsius’ Economy of the Covenants. See Peter Van Mastricht’s excellent work, Regeneration, published by Soli Deo Gloria.